The Biological Preserve war is nearly over and the Exiles maintain a narrow lead over the Legion occupiers. Can the Legion fighters hold destroy the last Exile purifier or will the Exiles expel the Legion corruption for the region? Waves of Wrath and TLaPD Return! This Friday, the coveted Kartherax gear, along with the classic Talk-Like-A-Pirate-Day items will return to the West Naval Yard! Visit Thalyssa and Big Tuna to check them out! 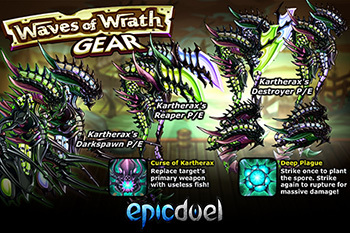 Once again, you'll have the chance to power up with the Curse of Kartherax and Deep Plague cores! 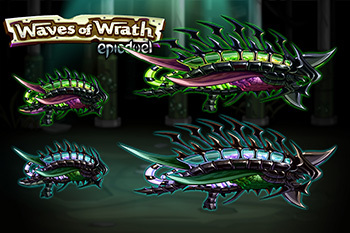 If you haven't completed the Waves of Wrath missions yet, what are you waiting for? 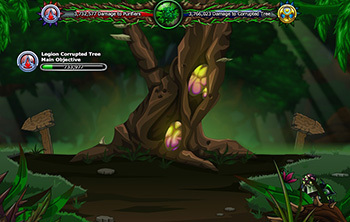 This excellent saga ties into other aspects of EpicDuel lore with some of the best writing in the game. Be sure to check it out!